Among the many other superior products that Lifeguard manufactures are pool and spa filters. Among the many other superior products that Lifeguard manufactures are pool and spa filters. Here at Filters Fast, we offer quality items from Lifeguard, along with many other brands of filters, on our website. 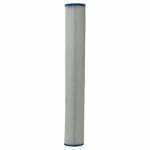 The Filbur FC-2340 Lifeguard CL 19x Pool & Spa Filter replaces Unicel part number C-2612, Pleatco part number PRB 12, and Harmsco part number H-2612. Also known as part numbers FC2340, 29405000, 17-2047, and H2612.